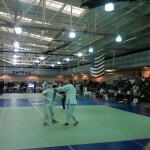 Th e 17th Annual Tohkon Classic took place on June 2, 2012 in Chicago, Illinois. 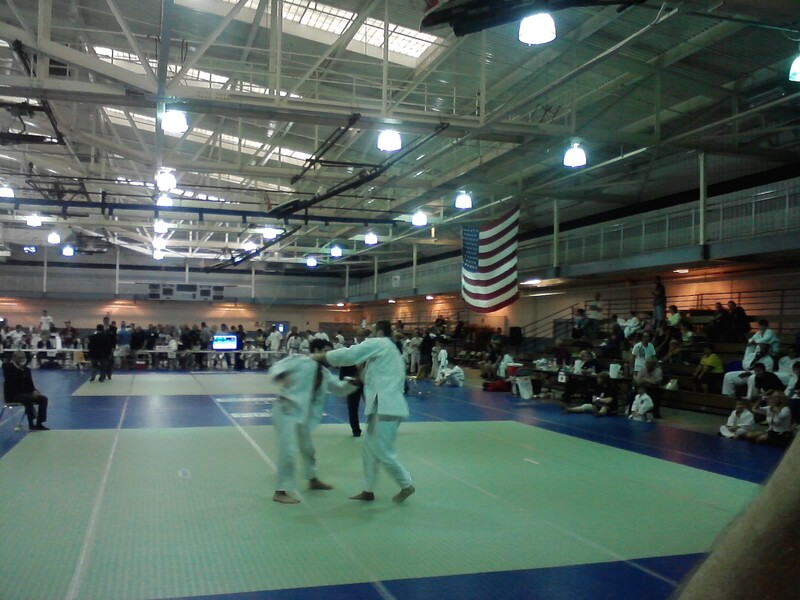 There were judo clubs from all over the midwest region represented at this tournament. Tom Kuhne and Derick Wellman coached an eager Team White Dragon to excellence. Derick Wellman and Tiffany Choi followed up their performance at the US Nationals with a gold medal in the kata division. In the junior division, Julia Greene fought through a large division to a third place finish. Tiffany Choi added a silver medal in shiai to her medal count for this tournament. Tae Young Choi, Adnan Gutic, and Eugene Hamilton displayed impressive skill during their matches but were unable to crack the medal podium. Anna Feygina once again reigned supreme in the woman’s lightweight division. She dominated the division with an excellent osoto-gari in the gold medal round. 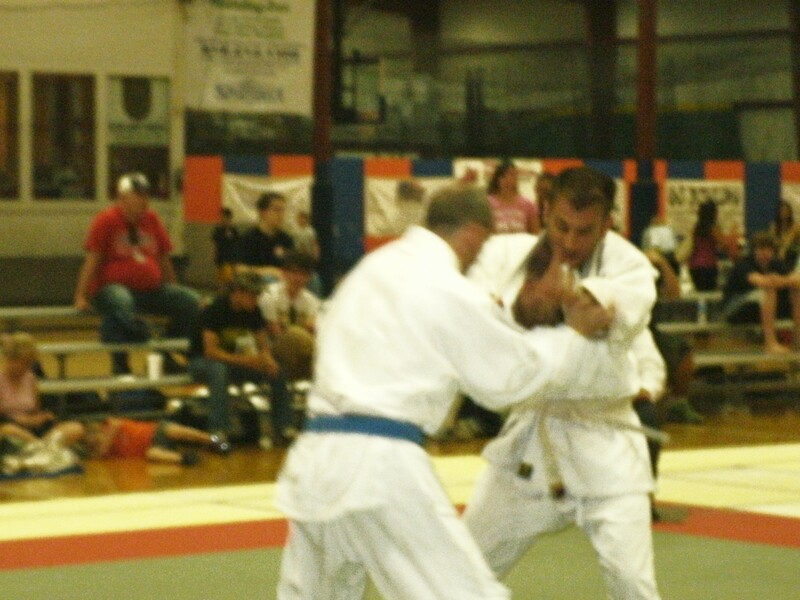 The Family Sportsplex in Belleville, Illinoiswas the site of the 28th Annual North/South Open Judo Tournament. Once again, Team South fell short of winning the North/South team tournament trophy. Anthony Darevsky, Dan Raney and standout judoka Davor Vasiljevic were all selected to Team South but were unable push the rival North squad from the top spot. Derick Wellman and Tom Kuhne took over the coaching reigns for this tournament. The standout coaches witnessed some vast improvement from most of Team White Dragon. Anthony Darevsky anchored the junior squad with a second place finish. Brother and sister, Shawn and Jocelyn Butler both went 3-1 on the day and took silver. 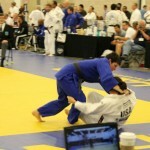 Devin Busch showed off an improved ogoshi on his way to a bronze medal finish. Jordan Ashen had to make a few adjustments after a narrow first round loss. He rallied late in his second match with a pin for the win. Times got rough for the rookie in his last two matches but Ashen kept his poise and took third in his division. Julia Greene made her presence known with a second place showing. In the senior divisions, John Jones and Eugene Hamilton took bronze in their weight classes. Anna Feygina narrowly loss the gold medal match in her weight division and had to settle for silver. Davor Vasiljevic made his Team White Dragon debut. The smooth flowing judoka flaunted some nice foot sweeps in a tough -100KG division and took third. Dan Dillon was the suprise of the tournament. Dillon threw his opponent with a beautiful sasae tsuri komi ashi in his first match and an exceptional harai goshi to the corner in his gold medal match. Dillon remains humble and eager to improve at -81KG. Tara Kuhne continued her dominance amongst the female masters division at the U.S Open in Miami, Florida. She captured gold at 63kg. Tara also took silver in the 57kg division at this tournament. 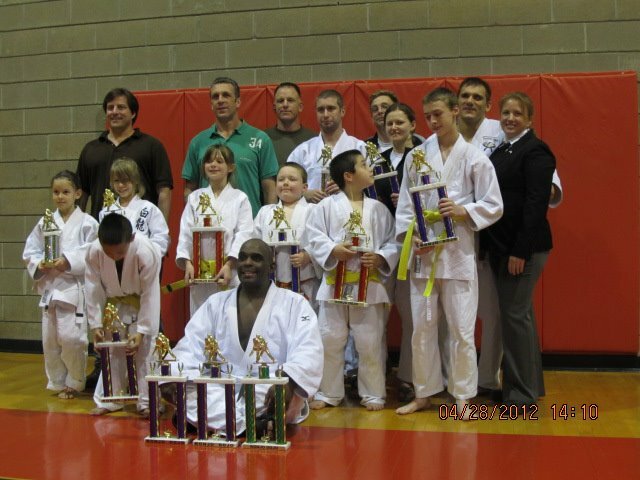 The Alaskan native is training for the World Masters Judo Championships in Brazil in November. She seeks to bring the gold home to the United States. 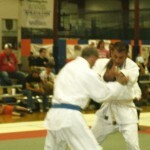 The Konjo Spring Judo Championship got underway at Southeast Missouri State North Recreation Center in Cape Girardeau on Saturday, April 28, 2012. 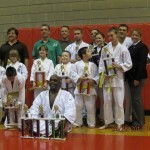 Team White Dragon again set records for participation, wins and gold medals. Derick Wellman coached the junior and senior teams in this tournament. In the junior division, Jordan Ashen showed exceptional improvement by posting a 3-1 record in this tournament and a gold medal finish. His brother, Devin Bush took silver in his division. 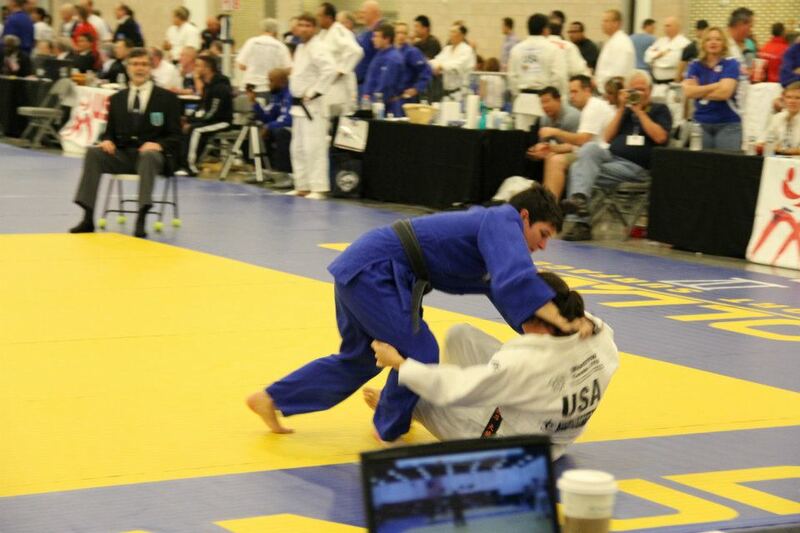 Sean Butler won all of his matches by ippon and took home a gold medal. Molly Hladky placed 3rd in first tournament. Mackenzie Grob continues to improve and looks to be a judoka to be reckoned with. She took home a silver medal for the day. Julia Greene and Anthony Darevesky both gave strong performances as they tune up for the Junior Judo Nationals this summer. They both took 1st place in there perspective divisions. The Seniors team was led by Anna Feygina who took first in her division. National champion, Adnan Gutic loss a heartbreaker and had to settle for silver in this tournament. Eugene Hamilton placed third in his return to the mat after a brief hiatus. The judoka of this tournament was Demonn Smith. The savvy veteran played with a heavy heart on his way to 8-0 record on the day and 3 gold medals to add to his long judo resume.